Every day, more than 143 million Americans commute on roads across the nation. Millions more share the road on bicycles and on foot. Unfortunately, not everyone makes it home safely. Traffic accidents claim more than 30,000 lives every year. Why are US Roads so Dangerous? Studies suggest that there are a few key issues at the root of the problem. Congestion. Gas prices are lower, so more Americans are hitting the road. Distractions. Over 3,100 people were killed by distracted drivers. Drivers are increasingly focused on their cell phones, rather than the road. Aggression. Americans are always in a hurry. Aggressive behaviors behind the wheel and risky driving create dangerous conditions. Alternative Transportation. Young Americans are ditching their cars in favor of healthier and environmentally-friendlier alternatives, including biking and walking. Roads aren’t designed to accommodate mixed travel. Road Conditions. American roads are in disrepair. Unsafe roads create extremely hazardous driving conditions. Americans have the right to have access to safe roads. Driving, riding a bike, or walking shouldn’t be a gamble. Our goals are to create awareness, foster creative initiatives, encourage programs that make our roads safe. Everyone has a part to play, including government agencies, private organizations, technology companies, and everyone who shares the road. Together, we can increase road safety and save lives. Tens of thousands of Americans are killed in car accidents every year. Millions more suffer severe and debilitating injuries. Many of these accidents are avoidable. Unfortunately, accidents are becoming more and more common. In 2014, there were 32,675 fatal car accidents in the United States. By 2017, the number of fatal crashes had surged to 37,133. That’s an increase of more than 13 percent in just a few short years. At Safe Roads USA, we are bringing you traffic safety data from every major city in the United States. Our goal is to cover all major cities in 2019 and 2020. We first cover San Diego, CA. As of 2016, there has been a 5 percent increase in traffic accidents totaling over 21,000. 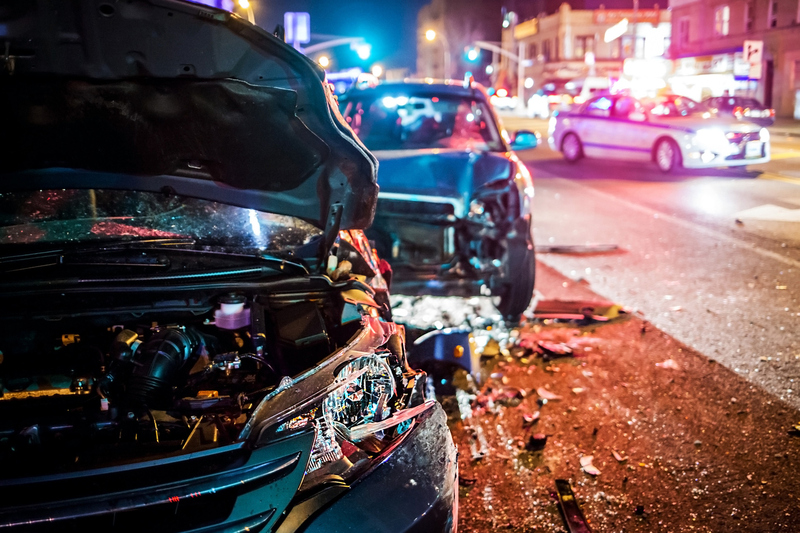 Richard Morse, a San Diego personal injury lawyer, provides insight into the many causes for the increase in crashes, including poor road conditions and an increase in distracted driving. Fixing problems with stormwater drainage. Find out more by visiting our San Diego Road Safety Overview. Next, we cover Miami, FL. This sprawling city is one of the world's top tourist destination and has a growing economy. These factors lead to congested roads and a surge in traffic accidents. Another factor that impacts road safety is the poor conditions of the roads themselves. A recent study conducted by the American Society of Civil Engineers gave Miami-Dade County a "C" for its crumbling infrastructure. 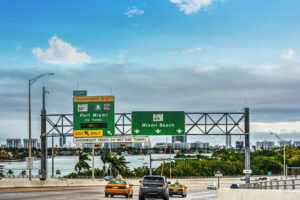 Boris Lavent, a legal contributor and personal injury lawyer in Miami tells us, "when you combine tourists, crumbling roads, and distracted driving, you're going to see an increase in motor vehicle accidents." Mr. Lavent regularly deals with car accidents in Miami and the surrounding areas. Find out more in our Miami Road Safety Overview. We just released our 2019 Los Angeles Road Safety Report. Find out more about the current road safety challenges and what is being done to improve the roads in our latest report. The majority of all traffic accidents - more than 58 percent - are single-vehicle crashes. 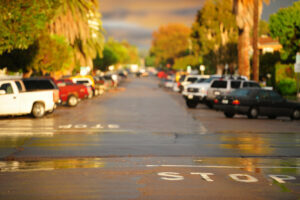 Car accidents are most likely to occur during the summer months. Saturday is the most dangerous day to drive in the United States. One out of every three car accidents involves a rear-end collision. As many as 80 percent of rear-end collisions are avoidable. Men are twice as likely to get into a fatal car accident than women. Over the past decade, accident fatalities have increased in urban areas and decreased in rural areas. 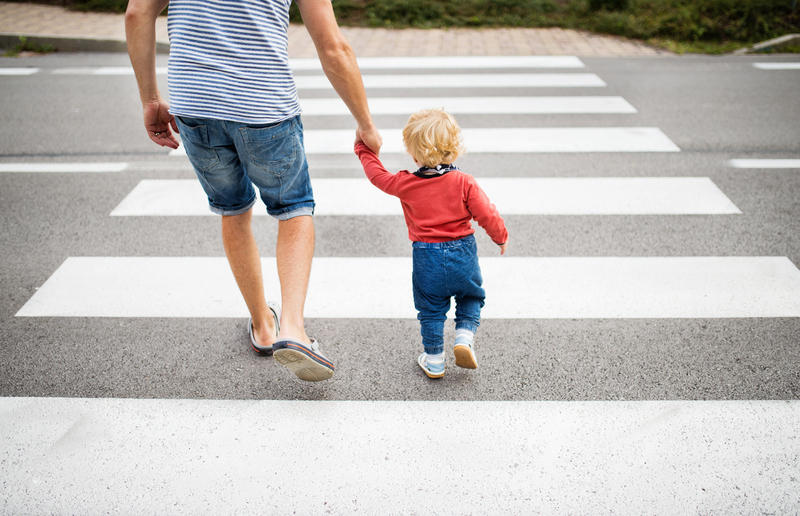 Since 2008, pedestrian fatalities have surged by 46 percent in urban areas. Drivers account for half of all traffic accident fatalities. Teenagers, especially males, are more likely than any other group of drivers to get into an accident. American infrastructure gets a “D-” average. That should be frightening for anyone who ever leaves their home. Infrastructure includes, but is not limited to, roads, bridges, tunnels, railways, and public transportation. Traffic congestion is surging across the country, particularly in urban cities like Los Angeles, San Diego, and Miami. Bicyclist and pedestrian deaths are surging due to a lack of dedicated infrastructure. Public transportation has never been in greater demand, but transit systems are broken and underfunded. Funding is critical if we want our roads and infrastructure to be safer. Unfortunately, American roads are chronically underfunded. The ASCE estimates that we need to allocate $2042 Billion to repair and maintain our roads. However, we currently have a funding backlog of more than $420 Billion. Without funding, local, state, and federal agencies cannot identify and correct safety issues. Safe Roads USA is dedicated to advancing initiatives that allocate funds to infrastructure repair. This begins at a grassroots level. We must get involved in government, contact our represented officials, and make it clear that funding our crumbling infrastructure should be a top priority. Even if American roads were in pristine condition and maintained properly, accidents would still be a problem. Why? American roads are unsafe, in part, because drivers are engaging in incredibly dangerous behaviors behind the wheel. In recent decades, advances in technology have made vehicles much safer. However, those same advances in technology have also made our roads more dangerous. Distracted driving is increasingly responsible for traffic accident deaths and injuries. Every day, 1,000 people are injured and another 9 are killed in distracted driving accidents across the country. Why? Years ago, drivers had few things to distract them behind the wheel. Today, almost everyone has a cell phone. Rather than paying attention to the road, drivers are texting, checking social media, sending emails, and talking on the phone. We’re constantly connected to the outside world, even when we should be focused on other tasks. Studies have shown that using a cell phone behind the wheel is one of the most dangerous things a driver can do. In fact, texting and driving is more dangerous than drunk driving. Taking your eyes off the road for even a few seconds significantly increases the likelihood of getting into a crash. How Can We Make Our Roads Safe? There’s no doubt about it: our roads are dangerous. Tens of thousands of Americans lose their lives in car accidents every year. Families are forced to grieve unbearable losses. Millions more are forced to deal with unintended and avoidable injuries. The problem is only getting worse. How can we reduce car accidents, protect bicyclists and pedestrians, and make traveling near and far safe? Safe Roads USA advocates a multifaceted approach to improving road conditions across the country. 1. Get Involved. Our civic duties do not end once we leave the voting booth. We have to let our elected officials know how we feel about the issues that affect our everyday lives, including travel and road safety. 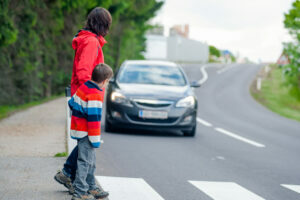 Demand changes to traffic safety laws. Request traffic safety studies. Elect officials who are committed to reducing traffic accidents and fatalities. 2. Studies. Most of our roads were designed decades ago. The way we travel and use our infrastructure system has evolved. More people are biking and walking. Congestion has surged. Our current system isn’t capable of supporting the way we travel. The only way we can know how to change our roads is by studying why, when, and where accidents happen. Study results can be used to inform new, safer designs. 3. Funding. Our roads are falling apart. We need to invest money to fix them. Money must be allocated to fund studies, designs, and maintenance. Craft ballot initiatives. Urge local and state lawmakers to support pro-infrastructure legislation. Change will only happen - and our roads will only get safer - if we demand it. 4. Driver Accountability. Roads aren’t just unsafe because of poor conditions. Roads are also unsafe because drivers aren’t taking their responsibilities behind the wheel seriously. Many accidents are avoidable. However, this requires increased driver accountability. All drivers must appreciate the inherent danger of navigating a large, heavy vehicle at high speeds. We must understand and obey traffic laws. We must not be aggressive nor impatient. We must dedicate our full attention to the traffic and conditions around us. Safety ultimately begins with those who share the road.